La Stanza dello Scirocco (lit. : Scirocco room) is a magical place, found in the great country houses in Sicily. A place where people seek shelter and wait for the wind to calm down. The Sicilian architect Mario Trimarchi took this childhood memory as an opportunity to make a wall clock for Alessi. The irregular forms of the hexagonal dial and the lateral elements create light and shadow play, giving the object magic and movement. The imaginative design inspires in different interiors in a wide range variants. As part of the series of the same name, the designer Mario Trimarchi describes "La stanza dello Scirocco" as "a collection of asymmetric objects with atypical geometry, consisting of small platelets of different sizes, which are connected to each other in a seemingly fragile design only at individual points." In addition to the wall clock, bowls, baskets, and other home accessories are available in the same design, which can be harmoniously combined. 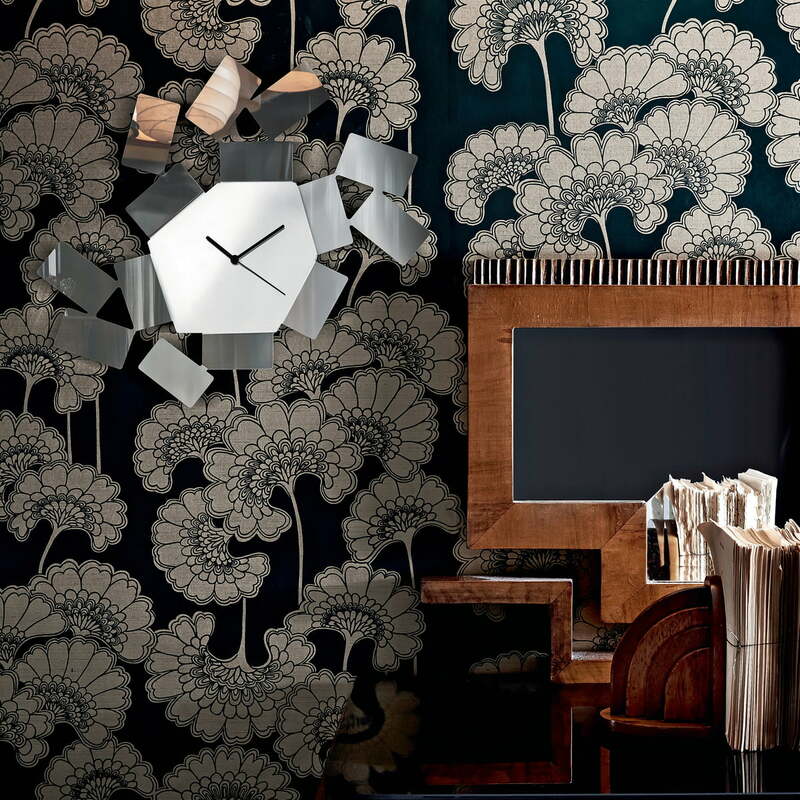 The clock is beautifully crafted in powder coated steel. The quality is as to be expected from Alessi. Looks beautiful and is fun. Works nice against a grey wall for contrast. 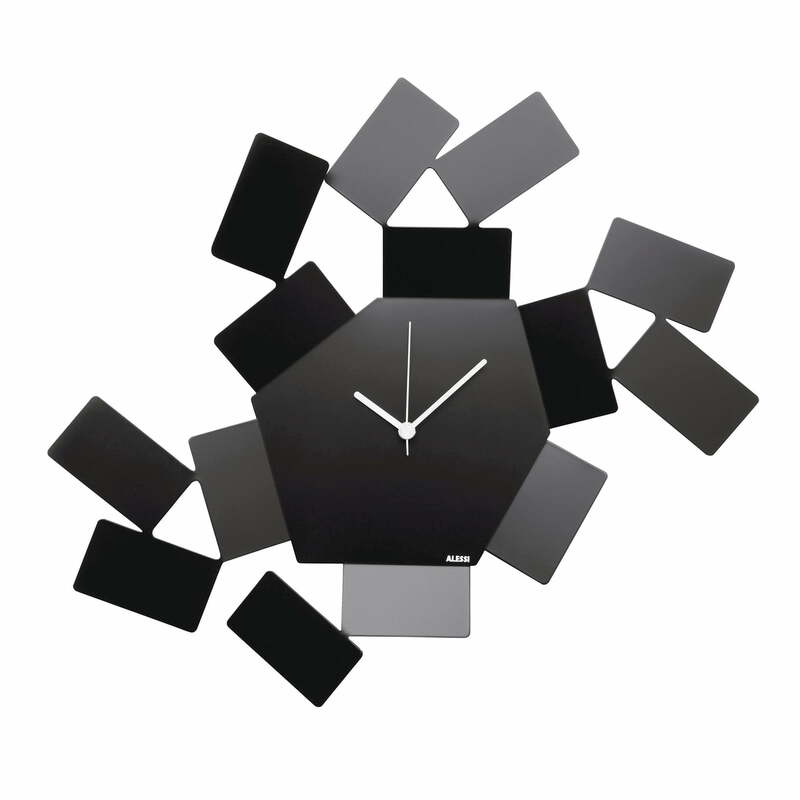 Individual product image of the La Stanza dello Scirocco wall clock by the manufacturer Alessi in black. The unusual wall clock is made from epoxy-painted steel in white.